Background: Complementary medicine claims that biofeedback affects the reduction of blood glycemia. Objective: The current study aimed to determine the effects of biofeedback on decreasing blood glucose levels and tension and increasing the quality of life in diabetic patients. Methods: The current retrospective evidence-based study used pretest-posttest accidental sampling to select a group of 30 diabetic patients admitted to Glenview Clinic in the Aghdasiyeh region, Tehran, Iran, as the sample. Participants were divided into two 15-membered groups, the experiment and the control groups, matched by age and gender. Data gathering tools included the Quality of Life questionnaire in diabetic patients by Thomas et al, the Perceived Tension Index by Cohen et al, a glucometer, and the fasting blood glucose test. Data was analyzed using analysis of covariance (ANCOVA). Results: The results showed that biofeedback training was effective in decreasing blood glucose levels in diabetic patients. Conclusion: Biofeedback can reduce tension and improve the quality of life of diabetic patients; thus, it could be used as a complementary service in healthcare centers. Meetoo D, McGovern P, Safadi R. An epidemiological overview of diabetes across the world. Br J Nurs. 2007;16(16):1002- 1007. doi:10.12968/bjon.2007.16.16.27079. Gong Y, Smith SM, Handberg EM, Pepine CJ, Cooper-DeHoff RM. Intensive blood pressure lowering reduces adverse cardiovascular outcomes among patients with high-normal glucose: An analysis from the Systolic Blood Pressure Intervention Trial database. J Clin Hypertens (Greenwich). 2018;20(4):620-624. doi:10.1111/jch.13247. Harden E. Diabetes in Focus. Diabetes. 2018;2(2). Cheung NW, Moses RG. Gestational Diabetes Mellitus: Is It Time to Reconsider the Diagnostic Criteria? Diabetes Care. 2018;41(7):1337-1338. doi:10.2337/dci18-0013. Classification and Diagnosis of Diabetes: Standards of Medical Care in Diabetes-2018. Diabetes Care. 2018;41(Suppl 1):S13-s27. doi:10.2337/dc18-S002. Broadney MM, Vaidyanathan P, Klein BL, Cohen JS. Management of Endocrine Emergencies. In: Radovick S, Misra M, eds. Pediatric Endocrinology: A Practical Clinical Guide. Springer; 2018:825-846. doi:10.1007/978-3-319-73782-9. Aleem S, Iqbal R, Shar T, et al. Complications of Diabetes: An Insight into Genetic Polymorphism and Role of Insulin. Recent Pat Inflamm Allergy Drug Discov. 2018;12(1):78-86. doi:10.2174/1872213X12666180717165331. Rosolowsky E, Yaskina M, Couch R. Pediatric Type 1 Diabetes: Patients’ and Caregivers’ Perceptions of Glycemic Control. Can J Diabetes. 2018;42(3):302-307.e301. doi:10.1016/j.jcjd.2017.07.002. Chan CL, Hope E, Thurston J, et al. Hemoglobin A1c Accurately Predicts Continuous Glucose Monitoring-Derived Average Glucose in Youth and Young Adults With Cystic Fibrosis. Diabetes Care. 2018;41(7):1406-1413. doi:10.2337/dc17-2419. Santos TRM, Melo JV, Leite NC, Salles GF, Cardoso CRL. Usefulness of the vibration perception thresholds measurement as a diagnostic method for diabetic peripheral neuropathy: Results from the Rio de Janeiro type 2 diabetes cohort study. J Diabetes Complications. 2018;32(8):770-776. doi:10.1016/j.jdiacomp.2018.05.010. Sehrawat T, Jindal A, Kohli P, et al. Utility and Limitations of Glycated Hemoglobin (HbA1c) in Patients with Liver Cirrhosis as Compared with Oral Glucose Tolerance Test for Diagnosis of Diabetes. Diabetes Ther. 2018;9(1):243-251. doi:10.1007/s13300-017-0362-4. Majumdar M. Diabetes Diagnosis: 6 Tests Used to Detect Blood glucose Fluctuations. Diabetes. 2018;140(199):7.8-11.1. Cichosz SL, Vestergaard ET, Hejlesen O. Muscle grip strength is associated to reduced pulmonary capacity in patients with diabetes. Prim Care Diabetes. 2018;12(1):66-70. doi:10.1016/j.pcd.2017.06.007. Gibson AL, Wagner DR, Heyward VH. Advanced Fitness Assessment and Exercise Prescription. 8th ed. Human kinetics; 2018. Duarte-Rojo A, Ruiz-Margain A, Montano-Loza AJ, Macias- Rodriguez RU, Ferrando A, Kim WR. Exercise and physical activity for patients with end-stage liver disease: Improving functional status and sarcopenia while on the transplant waiting list. Liver Transpl. 2018;24(1):122-139. doi:10.1002/lt.24958. Zarrindast MR, Izadi M, Nasehi M, Paktinat A, Hoseinpourfard MJ. Reward system on dopaminergic pathway. Int J Med Rev. 2015;2(3):261-264. Karimkhani S, Alizadeh Asli A, Namazi S, Yari M, Behrouz B. 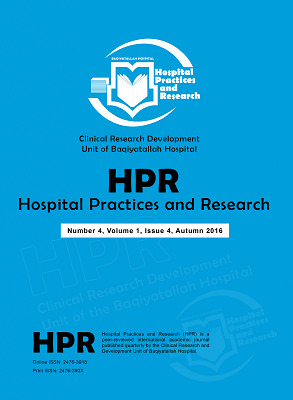 Relationship of Sleep Quality and Sleep Hygiene with Islamic Lifestyle and Self-Reported Religious Orientation in High School Students. J Res Religion Health. 2018;4(3):7-20. Mosalman Haghighi M, Mavros Y, Fiatarone Singh MA. The Effects of Structured Exercise or Lifestyle Behavior Interventions on Long-Term Physical Activity Level and Health Outcomes in Individuals With Type 2 Diabetes: A Systematic Review, Meta-Analysis, and Meta-Regression. J Phys Act Health. 2018;15(9):697-707. doi:10.1123/jpah.2017-0589. Hoseinpourafrd M, Izadi M, Nasehi M, Torabi-Nami M, Zarrindast MR. Neuroprotective plants; what, how, and why? A narrative review. Int J Med Rev. 2016;3(1):349-353. Xing S, Calip GS, Leow AD, et al. The impact of depression medications on oral antidiabetic drug adherence in patients with diabetes and depression. J Diabetes Complications. 2018;32(5):492-500. doi:10.1016/j.jdiacomp.2017.12.008. Aftab A, Bhat C, Gunzler D, et al. Associations among comorbid anxiety, psychiatric symptomatology, and diabetic control in a population with serious mental illness and diabetes: Findings from an interventional randomized controlled trial. Int J Psychiatry Med. 2018;53(3):126-140. doi:10.1177/0091217417749795. Bailey RK, Sharpe DK, Ringel M, Zeeshan A. Early Combination Therapy for Type 2 Diabetes Mellitus and Common Comorbid Mental Disorders. Focus. 2018;16(1):48-53. doi:10.1176/appi.focus.20160048. Rouyard T, Leal J, Baskerville R, Velardo C, Salvi D, Gray A. Nudging people with Type 2 diabetes towards better self-management through personalized risk communication: A pilot randomized controlled trial in primary care. Endocrinol Diabetes Metab. 2018;1(3):e00022. doi:10.1002/edm2.22. Ghosh S, Verma K. Stress and its effect on noncommunicable disease: An insight. Journal of Social Health and Diabetes. 2018;6(1):15-21. doi:10.1055/s-0038-1676191. Pearson S, Wills K, Woods M, Warnecke E. Effects of Mindfulness on Psychological Distress and HbA 1c in People with Diabetes. Mindfulness. 2018;9(5):1615-1626. doi:10.1007/s12671-018- 0908-1. Lloyd CE, Nouwen A, Sartorius N, et al. Prevalence and correlates of depressive disorders in people with Type 2 diabetes: results from the International Prevalence and Treatment of Diabetes and Depression (INTERPRET-DD) study, a collaborative study carried out in 14 countries. Diabet Med. 2018;35(6):760-769. doi:10.1111/dme.13611. Kampling H, Mittag O, Herpertz S, Baumeister H, Kulzer B, Petrak F. Can trajectories of glycemic control be predicted by depression, anxiety, or diabetes-related distress in a prospective cohort of adults with newly diagnosed type 1 diabetes? Results of a five-year follow-up from the German multicenter diabetes cohort study (GMDC-Study). Diabetes Res Clin Pract. 2018;141:106-117. doi:10.1016/j.diabres.2018.04.017. Schinckus L, Dangoisse F, Van den Broucke S, Mikolajczak M. When knowing is not enough: Emotional distress and depression reduce the positive effects of health literacy on diabetes self-management. Patient Educ Couns. 2018;101(2):324-330. doi:10.1016/j.pec.2017.08.006. Li C, Miao X, Li F, et al. Oxidative Stress-Related Mechanisms and Antioxidant Therapy in Diabetic Retinopathy. Oxid Med Cell Longev. 2017;2017:9702820. doi:10.1155/2017/9702820. Zareipour M, Jadgal K, Zare F, Valizadeh R, Ghelichi Ghojogh M. The relationship between perceived stress and blood sugar glucose levels in patients with type 2 diabetes. Rahavard Salamat Journal. 2017;2(4):1-13. [Persian]. Lifestyle Management: Standards of Medical Care in Diabetes-2018. Diabetes Care. 2018;41(Suppl 1):S38-s50. doi:10.2337/dc18-S004. Grensman A, Acharya BD, Wandell P, et al. Effect of traditional yoga, mindfulness-based cognitive therapy, and cognitive behavioral therapy, on health related quality of life: a randomized controlled trial on patients on sick leave because of burnout. BMC Complement Altern Med. 2018;18(1):80. doi:10.1186/s12906-018-2141-9. Majumdar S, Morris R. Brief group-based acceptance and commitment therapy for stroke survivors. Br J Clin Psychol. 2018. doi:10.1111/bjc.12198. Sinha SS, Jain AK, Tyagi S, Gupta SK, Mahajan AS. Effect of 6 Months of Meditation on Blood Sugar, Glycosylated Hemoglobin, and Insulin Levels in Patients of Coronary Artery Disease. Int J Yoga. 2018;11(2):122-128. doi:10.4103/ijoy.IJOY_30_17. Kiken LG, Shook NJ, Robins JL, Clore JN. Association between mindfulness and interoceptive accuracy in patients with diabetes: Preliminary evidence from blood glucose estimates. Complement Ther Med. 2018;36:90-92. doi:10.1016/j.ctim.2017.12.003. Bogusch LM, O’Brien WH. The Effects of Mindfulness-Based Interventions on Diabetes-Related Distress, Quality of Life, and Metabolic Control Among Persons with Diabetes: A Meta- Analytic Review. Behav Med. 2018:1-11. doi:10.1080/089642 89.2018.1432549. McGinnis RA, McGrady A, Cox SA, Grower-Dowling KA. Biofeedback-assisted relaxation in type 2 diabetes. Diabetes Care. 2005;28(9):2145-2149. doi:10.2337/diacare.28.9.2145. Fowler JE, Budzynski TH, VandenBergh RL. Effects of an EMG biofeedback relaxation program on the control of diabetes: a case study. Biofeedback Self Regul. 1976;1(1):105-112. doi:10.1007/BF00998693. Rosenbaum L. Biofeedback-assisted stress management for insulin-treated diabetes mellitus. Biofeedback Self Regul. 1983;8(4):519-532. doi:10.1007/BF00998759. McGrady A, Bailey BK, Good MP. Controlled study of biofeedback-assisted relaxation in type I diabetes. Diabetes Care. 1991;14(5):360-365. doi:10.2337/diacare.14.5.360. Evans MB. Emotional stress and diabetic control: a postulated model for the effect of emotional distress upon intermediary metabolism in the diabetic. Biofeedback Self Regul. 1985;10(3):241-254. doi:10.1007/BF00999345. Brown BB. New Mind, New Body: Bio-feedback: New Directions for the Mind. Oxford, England: Harper & Row; 1974.
van der Feltz-Cornelis CM, Nuyen J, Stoop C, et al. Effect of interventions for major depressive disorder and significant depressive symptoms in patients with diabetes mellitus: a systematic review and meta-analysis. Gen Hosp Psychiatry. 2010;32(4):380-395. doi:10.1016/j.genhosppsych.2010.03.011. Rice BI, Schindler JV. Effect of thermal biofeedback-assisted relaxation training on blood circulation in the lower extremities of a population with diabetes. Diabetes Care. 1992;15(7):853- 858. doi:10.2337/diacare.15.7.853. McGrady A, Horner J. Role of mood in outcome of biofeedback assisted relaxation therapy in insulin dependent diabetes mellitus. Appl Psychophysiol Biofeedback. 1999;24(1):79-88. doi:10.1023/A:1022851232058. Cohen S, Kamarck T, Mermelstein R. Perceived stress scale. In: Measuring stress: A Guide for Health and Social Scientists. New York, NY: Oxford University Press; 1994:235-83. Patterson TL, Goldman S, McKibbin CL, Hughs T, Jeste DV. UCSD Performance-Based Skills Assessment: development of a new measure of everyday functioning for severely mentally ill adults. Schizophr Bull. 2001;27(2):235-245. doi:10.1093/oxfordjournals.schbul.a006870. Brazier JE, Harper R, Jones NM, et al. Validating the SF- 36 health survey questionnaire: new outcome measure for primary care. BMJ. 1992;305(6846):160-164. doi:10.1136/bmj.305.6846.160 . Cohen S, Kamarck T, Mermelstein R. A global measure of perceived stress. J Health Soc Behav. 1983;24(4):385-396. doi:10.2307/2136404. Hale C, Véniant M, Wang Z, et al. Structural Characterization and Pharmacodynamic Effects of an Orally Active 11β-Hydroxysteroid Dehydrogenase Type 1 Inhibitor. Chem Biol Drug Des. 2008;71(1):36-44. doi:10.1111/j.1747-0285.2007.00603.x. Surwit RS, Schneider MS. Role of stress in the etiology and treatment of diabetes mellitus. Psychosom Med. 1993;55(4):380-393. Rosenzweig S, Reibel DK, Greeson JM, et al. Mindfulness-based stress reduction is associated with improved glycemic control in type 2 diabetes mellitus: a pilot study. Altern Ther Health Med. 2007;13(5):36-38. Rainforth MV, Schneider RH, Nidich SI, Gaylord-King C, Salerno JW, Anderson JW. Stress reduction programs in patients with elevated blood pressure: a systematic review and meta-analysis. Curr Hypertens Rep. 2007;9(6):520-528. doi:10.1007/s11906-007-0094-3.